Thanks to the presence of 10,000 Korean and Japanese expats, over 50 East Asian speciality restaurants are challenging the dominance of Dosai, Idli and vadai in Chennai. Chennai, February 12:: A decade before America discovered sushi, a restaurant in a small southern India coastal city, served sashimi from local whole tuna. This small Japanese oasis, called Akasaka, sat behind a non-descript building on the hot, honking mess of one of Chennai’s most crowded traffic junctions. Its private rooms and home-made barley tea were diametrically opposed to Chennai’s loud, too-busy-for-chairs ‘standing’ restaurants and fiery breakfasts of savory doughnuts dunked in spicy lentil soup. Yet back in 1996, when it was one of the only stand-alone restaurants in the city, it was a runaway success. “Sometimes there would be a line of people snaking out of the building’s gates onto the main road,” says Ran Takayama, who worked for the restaurant in its heyday. There are now approximately 10,000 expats in the city,most of them Asian. These days, the factories are all based within a Special Economic Zone (SEZ) not far from the city. Jo’s Korean food, including the pork bossam (aromatic boiled pork) and duck bulgogi (grilled sweet-and-spicy duck), are full of loud flavors and textures. They are somewhat reminiscent of the piquant rasams (aromatic tomato broths) and red fish curries favored in this part of South India. As locals took to his food, Jo became a culinary pioneer in the city. “In Seoul was one of my early restaurants that really introduced Korean food to Indians,” he remembers. Soju, a Korean spirit, is available in the state-designated alcohol shops, and K-Pop contests are now increasingly popular with the young. Kuuraku, a Japanese restaurant chain that specializes in yakitori (grilled chicken), just opened its first branch in the city. Yet Ameeta Agnihotri, a food critic for one of India’s leading newspapers and a local Chennaiite, thinks the new arrivals “have made a lasting impact on our culinary landscape”. Foreign chains like McDonalds have a hard time competing with Chennai’s home-grown fast-food culture of steamed rice cakes and pancakes. 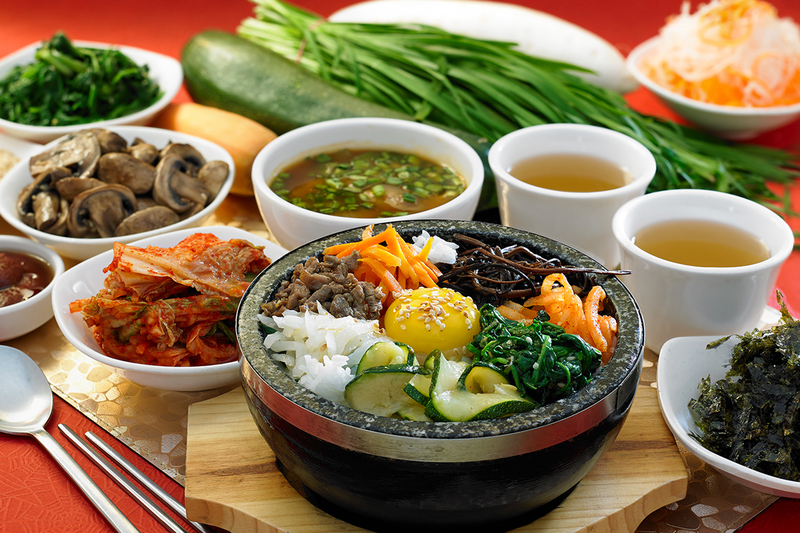 But Korean and Japanese restaurants continue to flourish alongside native local cuisine, cementing the city’s foothold in India’s growing ‘foodie boom’. “With the influx of returning expatriate Indians and visiting NRI [non-residents Indian] populations, Chennai’s food scene is growing very fast,” says Rati Shetty, a Chennai resident who is also the CPO of her own financial services company. “Most people have some miso paste, if not soya sauce, in their homes, available at the many Asian supermarkets in the city now. It is a sign of the market’s appetite, logistics and a more open and evolving society in terms of food and culinary expectations,” she says. There are even signs of a South Indian/East Asian fusion taste evolving: many of the Japanese restaurants that are owned and run by Indians tweak their food to make it more palatable for local people – a kind of spicy Japanese hybrid cuisine. There is less cross-over with Korean food. Jo says there are at least 20 Korean dining spots in Sriperumbudur known only to the Korean community. This is because many expats moved out of the city after the SEZ opened to take advantage of the apartment buildings and supermarkets that sprung up around it. Yet their staff are Indian – which means a growing body of local residents are well aware of Korean cuisine. Girish and L.T. Lepsa met working at Jo’s Arirang in 1998. After decades in the business, the two friends started a Korean restaurant of their own, New Seoul Hotels, which is the city’s first owned solely by Indians. Girish started out as a waiter at Arirang, and Lepsa worked in the kitchen. But the businessmen who come to eat at New Seoul Hotels are from a very different socio-economic world. After four years in business, the restaurant has a loyal Korean clientele and Indian customers are increasing. “They now make up at least 10% of all our customers and many of them are businessmen,” says Girish. In a nation whereeconomic inequality is striking, that local residents from such different backgrounds come together over Korean food is a sign of the significant and evolving impact of Chennai’s car-making foreign residents.